Festive holiday gift tags (mainly snowmen — and snowwomen) many with an area to write in the "To:" and "From:" for addressing your gifts. Most are 1" x 2-1/2". Collage sheets designed by Wendy Anderson are under the name Polliwog & Dragonfly. 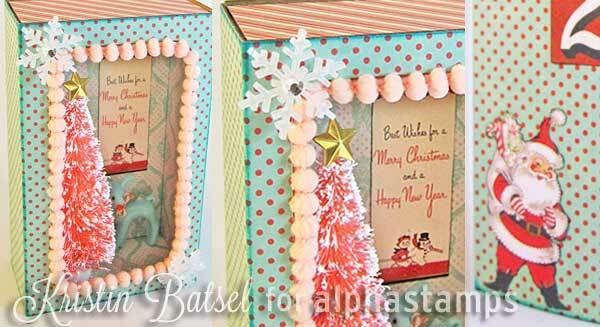 Design Team Member Kristin Batsel made a Kitschy Christmas Matchbox (see the wide photo below). More info in the blog and/or see the supply list.